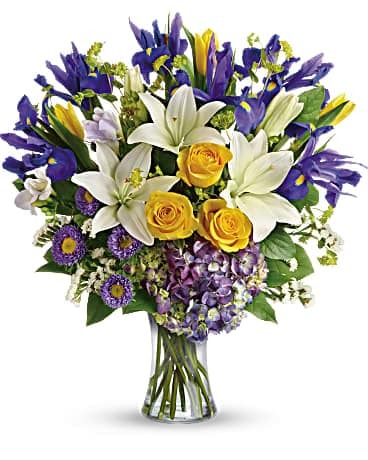 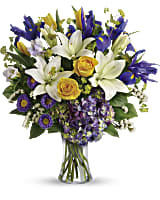 Teleflora's Floral Spring Iris Bouquet in West Seneca NY - William's Florist & Gift House, Inc. 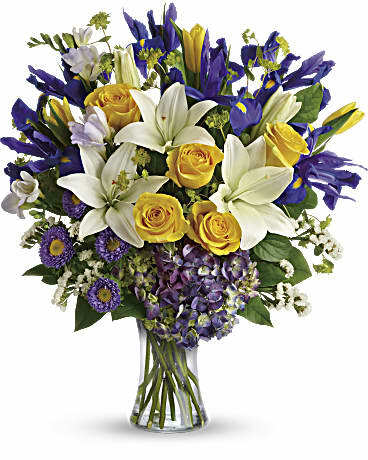 This luxurious mix of hydrangea, roses, tulips, lilies and irises brings the glory of a fresh spring sky to any occasion! 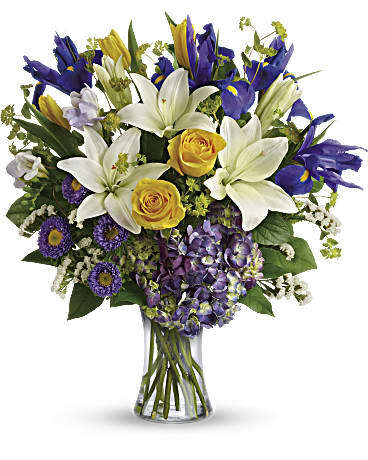 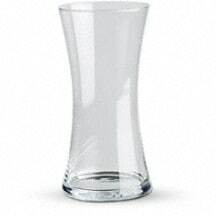 What a majestic mix of blues, yellows and whites, gracefully gathered in a classic glass vase.